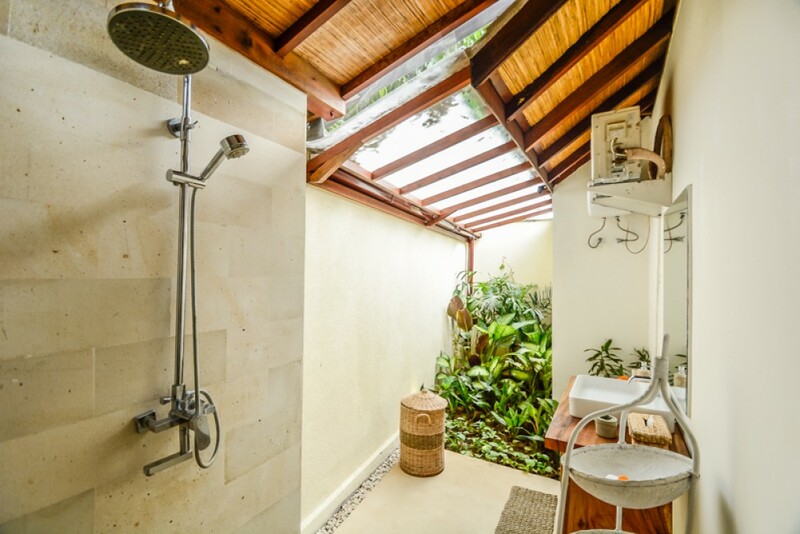 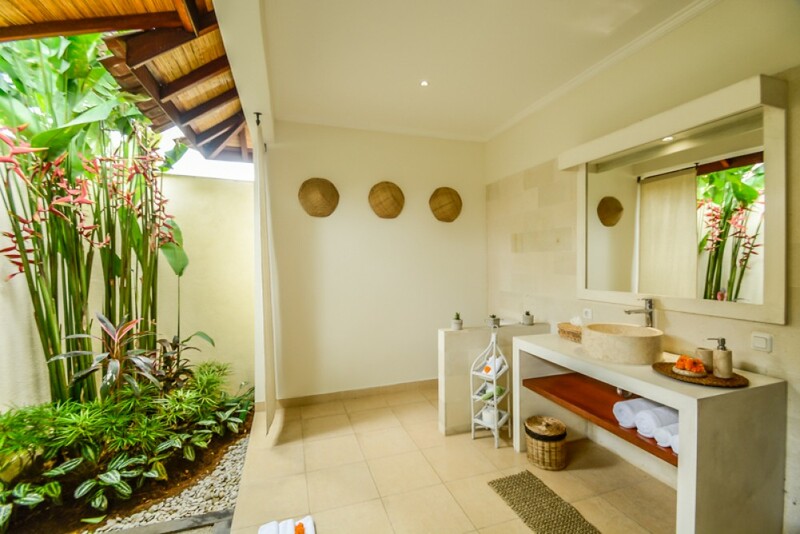 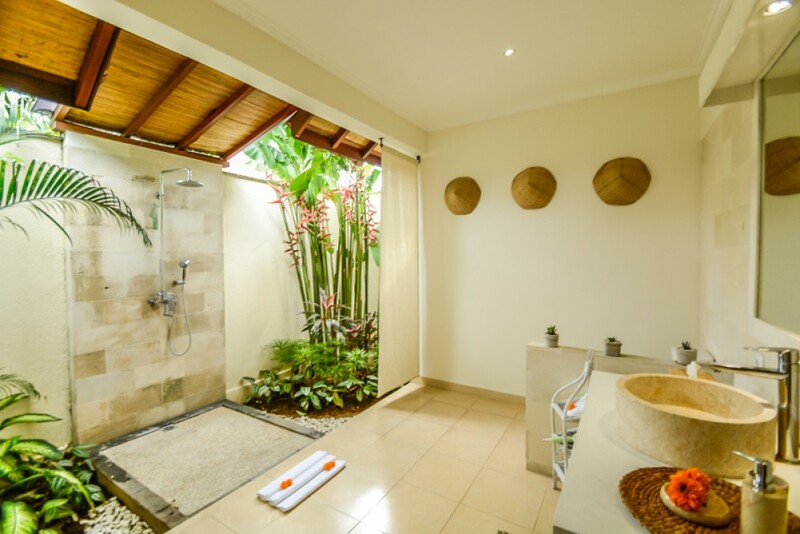 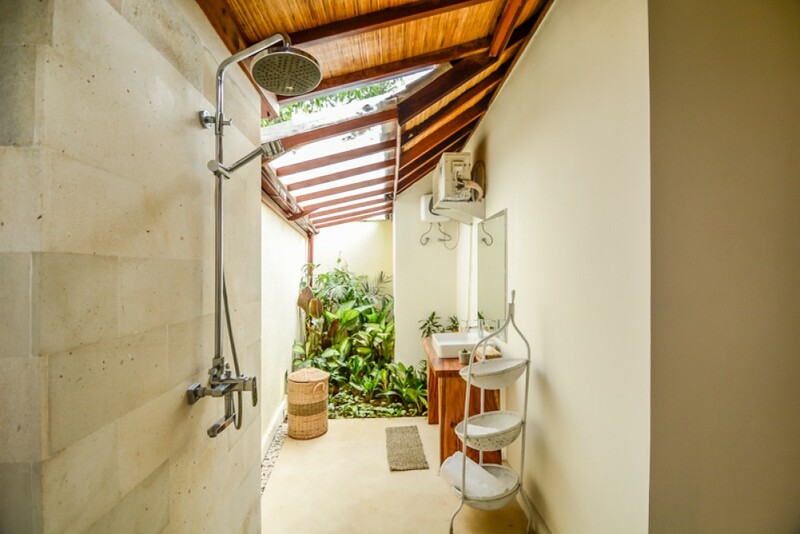 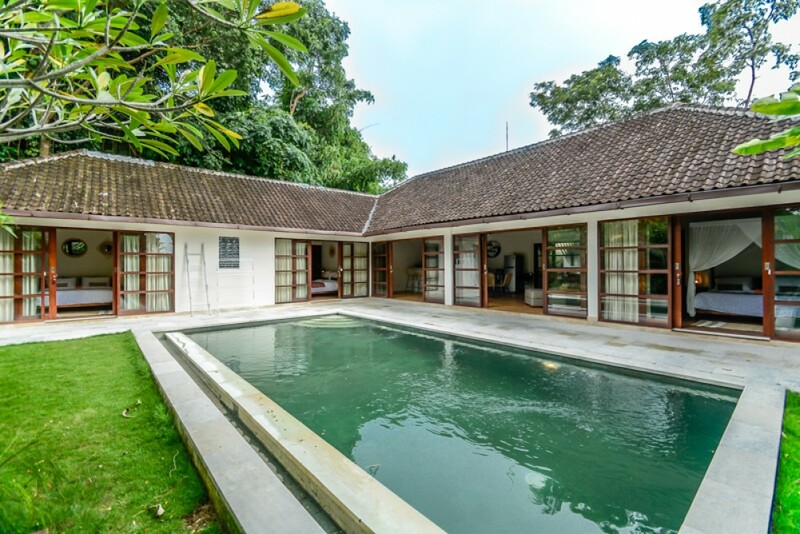 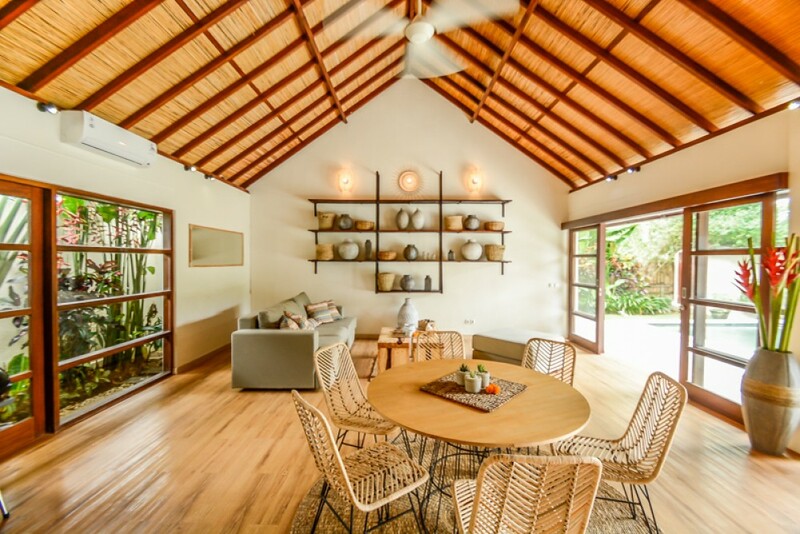 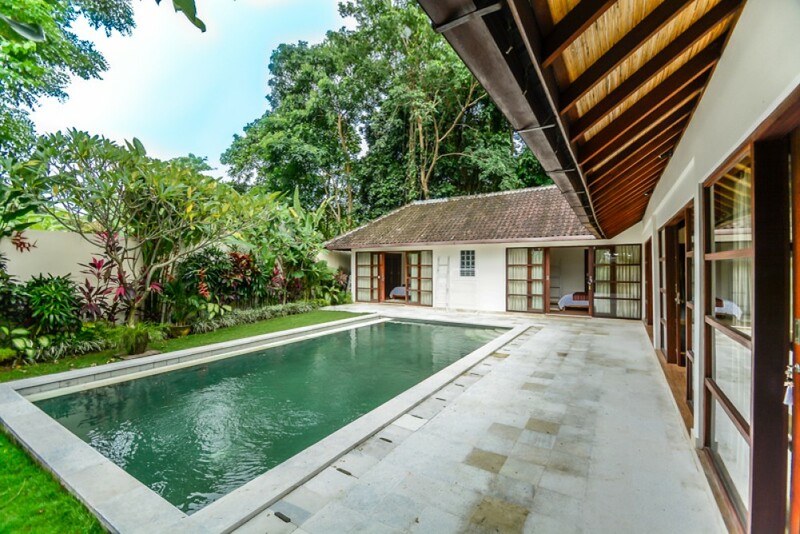 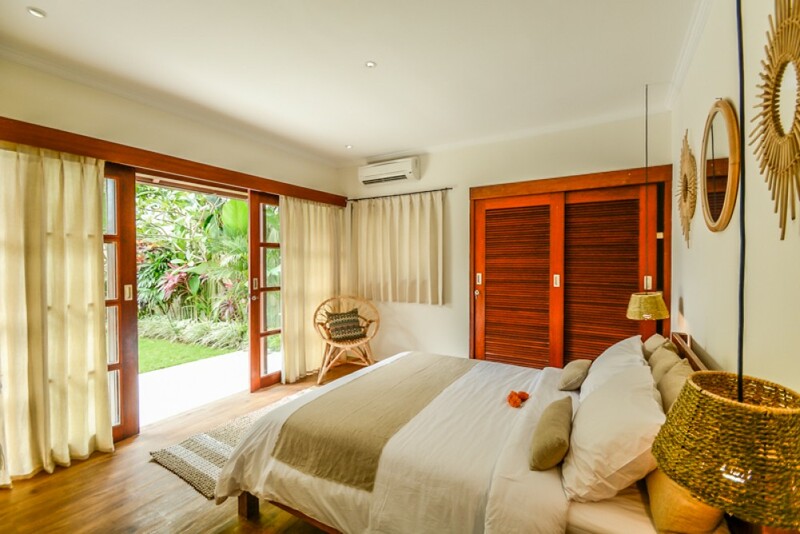 This property is located in a peaceful neighbourhood of Canggu, only 5 min from Canggu club. 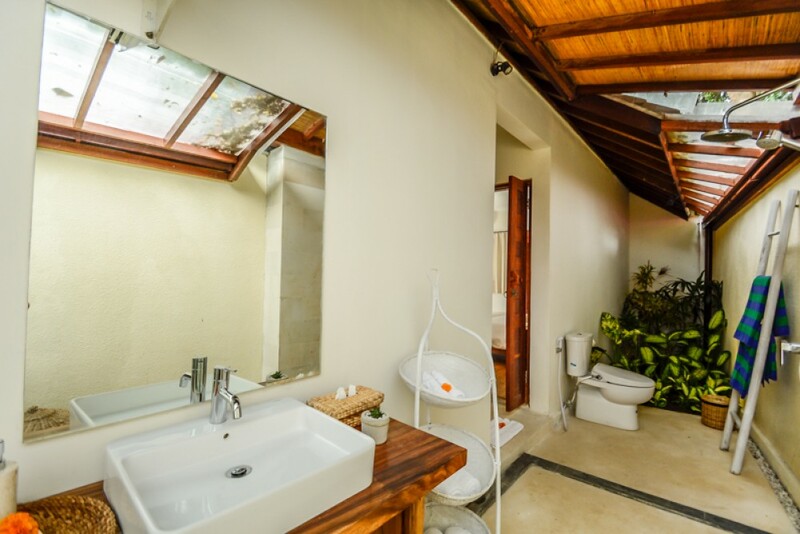 It features 3 bedrooms. 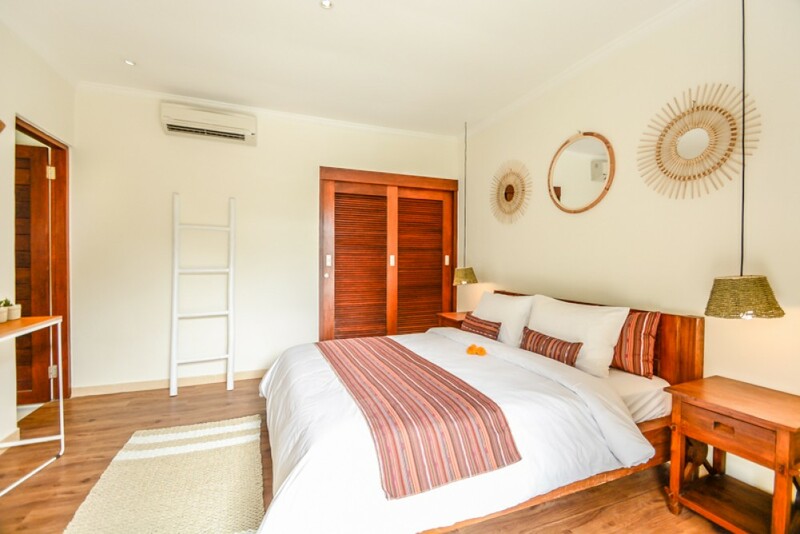 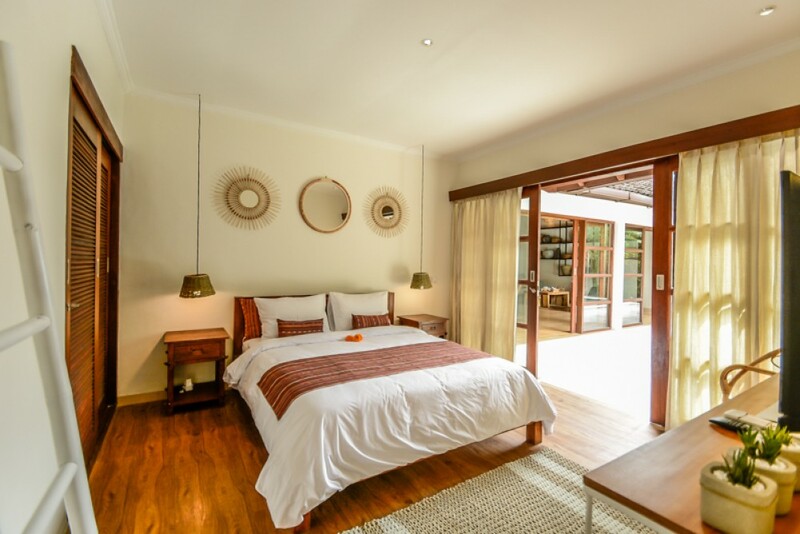 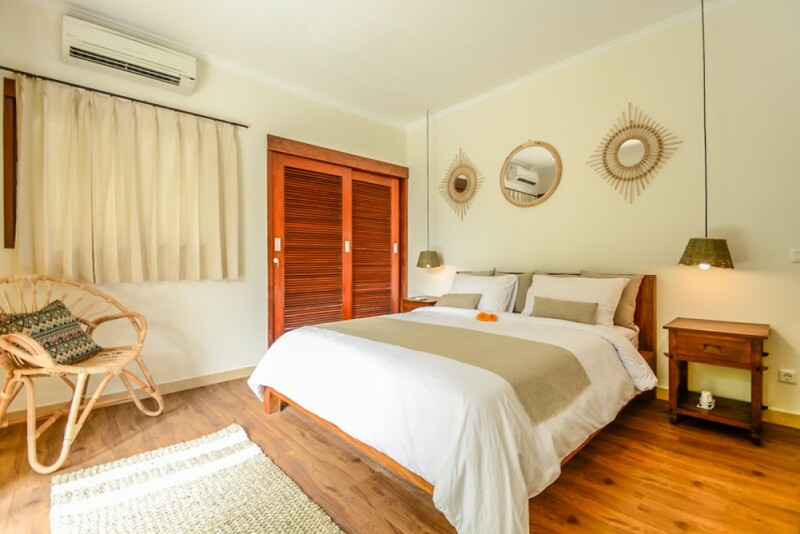 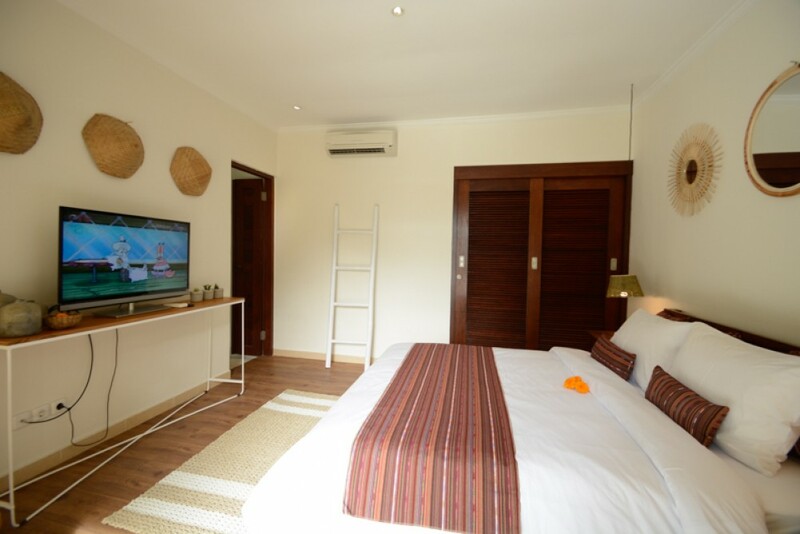 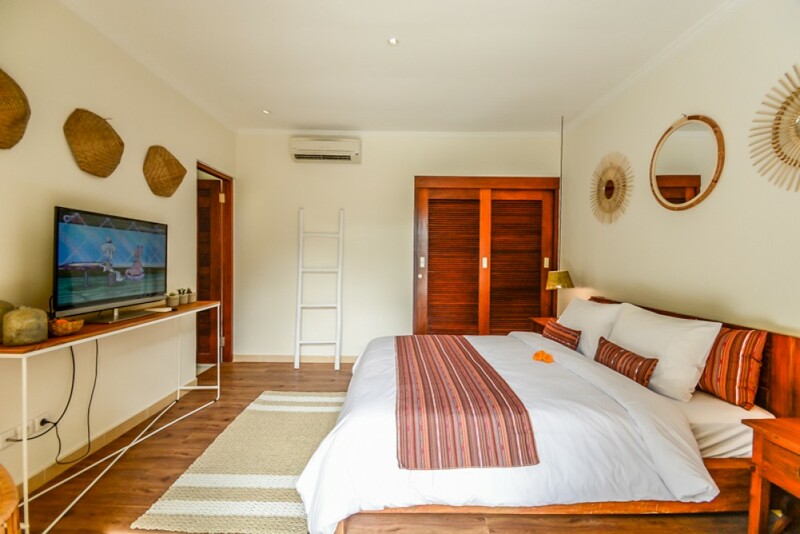 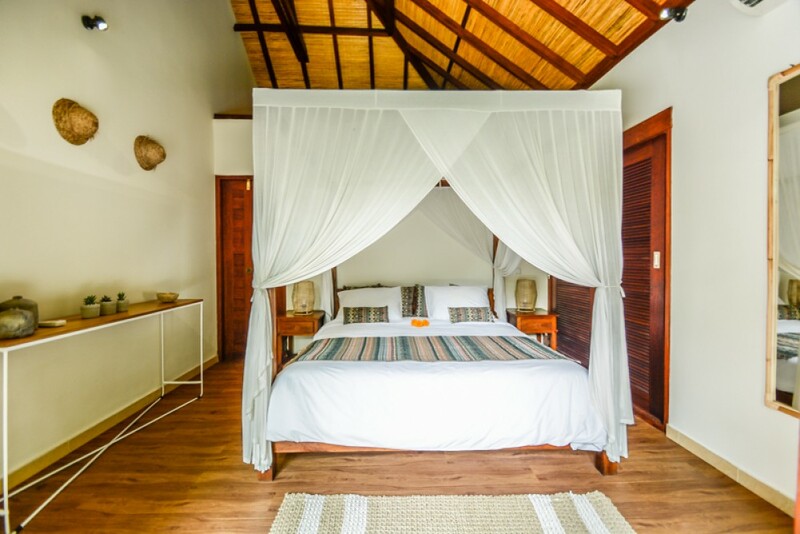 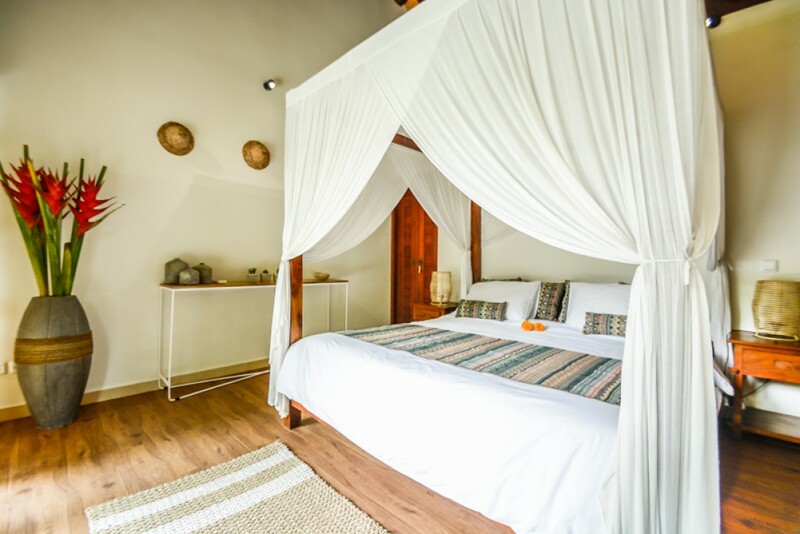 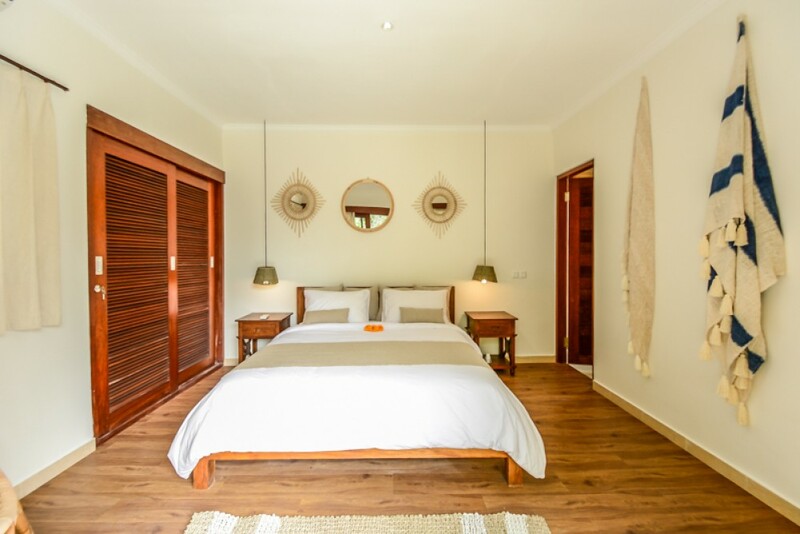 Air-conditioned master bedroom with semi-open air style bathroom, overlooking the 9x4.5 meters swimming pool and other 2 bedrooms, both en-suite. 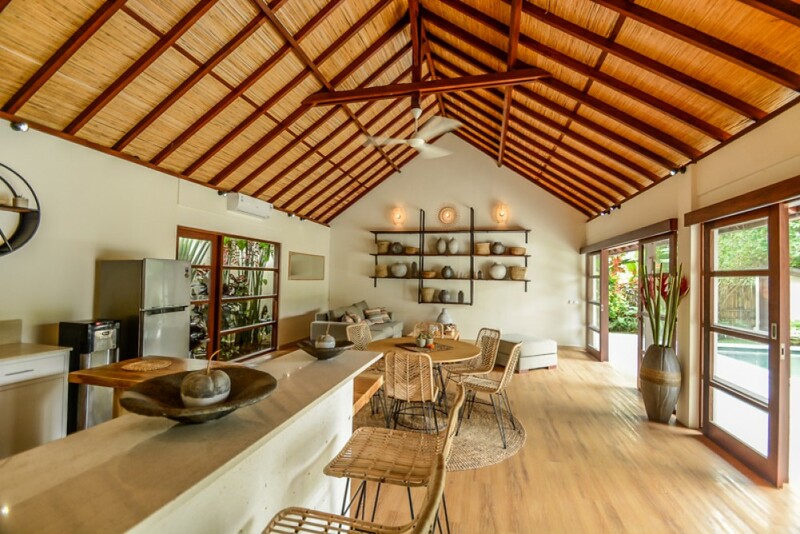 Huge open air concept living and dining area, with the possibility to close with sliding doors. 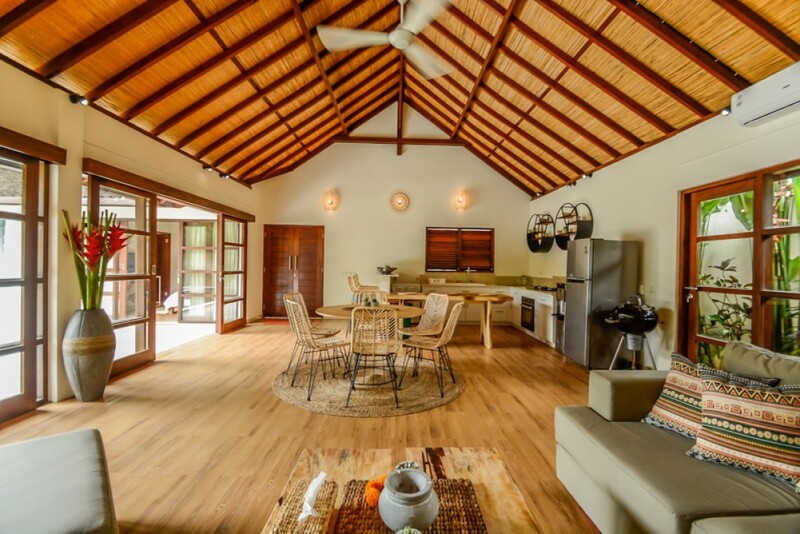 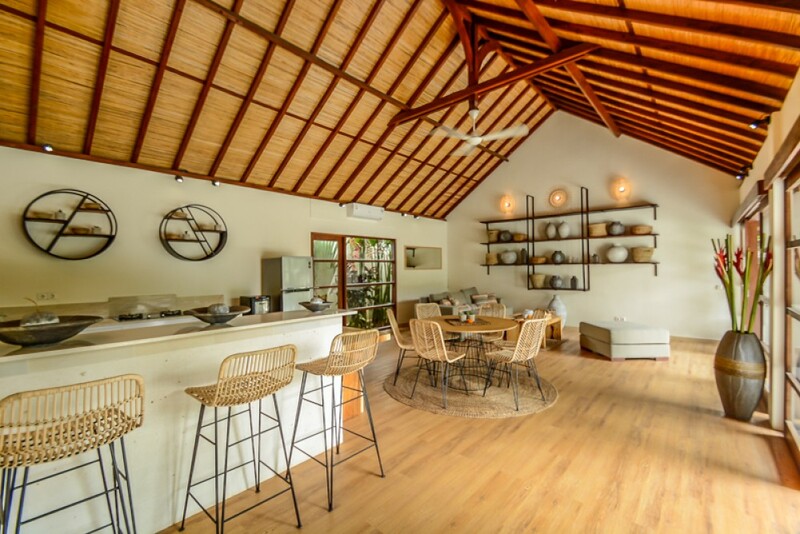 Western style kitchen fully equipped with bar, guest bathroom and plenty of space to enjoy the views over the tropical forest in front of living area. 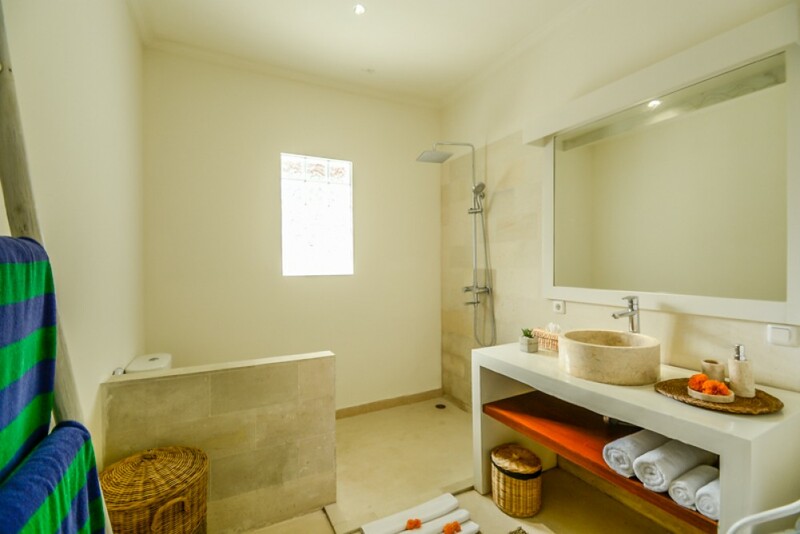 Made with high quality materials. 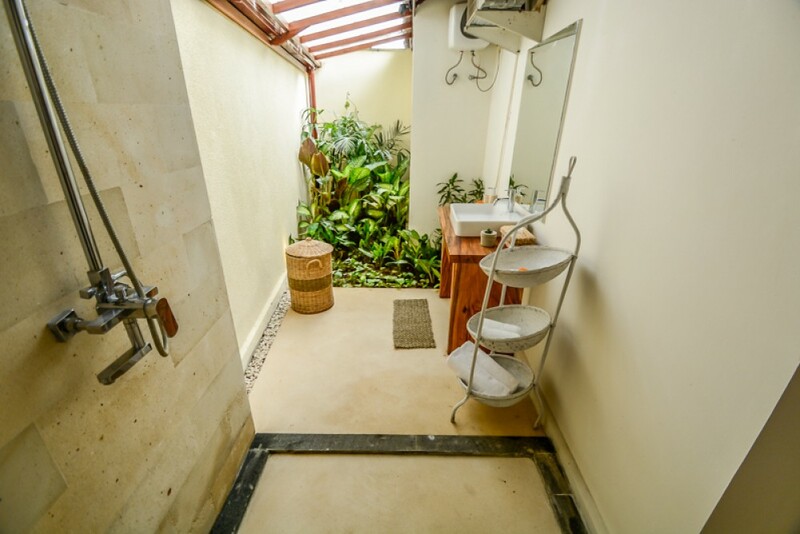 Good access road from the main street, parking area for one car and 3 motorbikes. 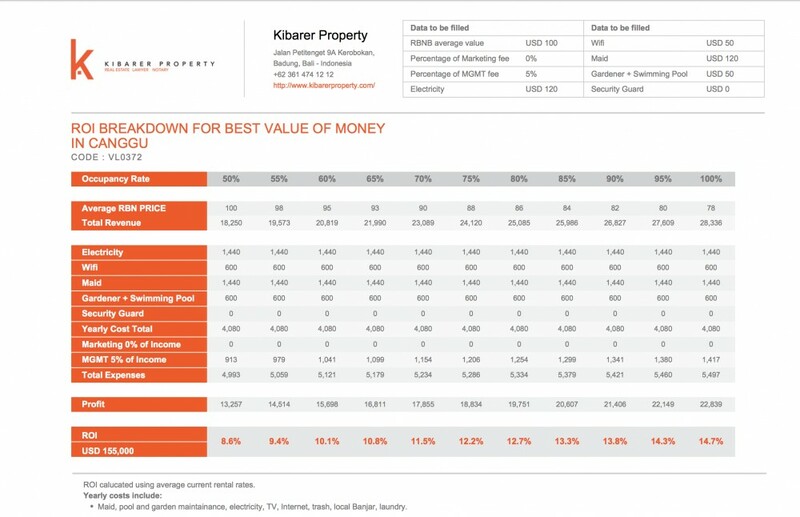 You can chose either 19 years lease, 25 or 30 years. 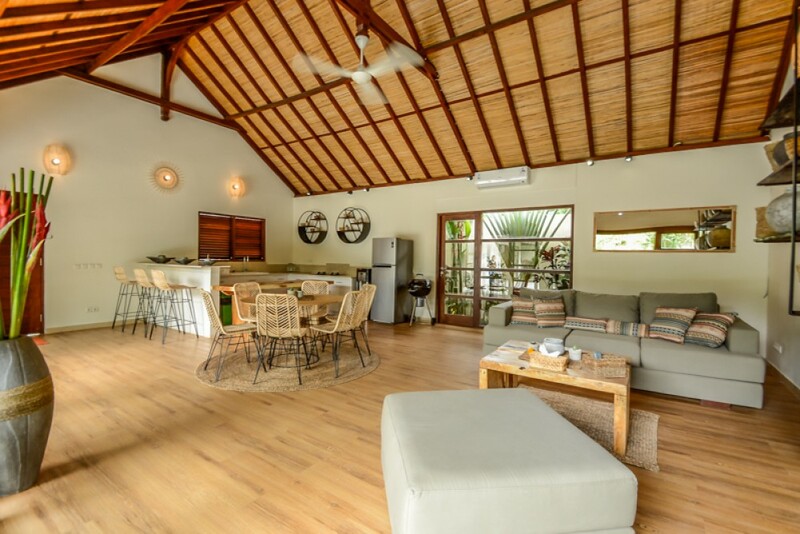 This property is also a perfect investment since it is rented $2000 per month now in case you decide to make some money.